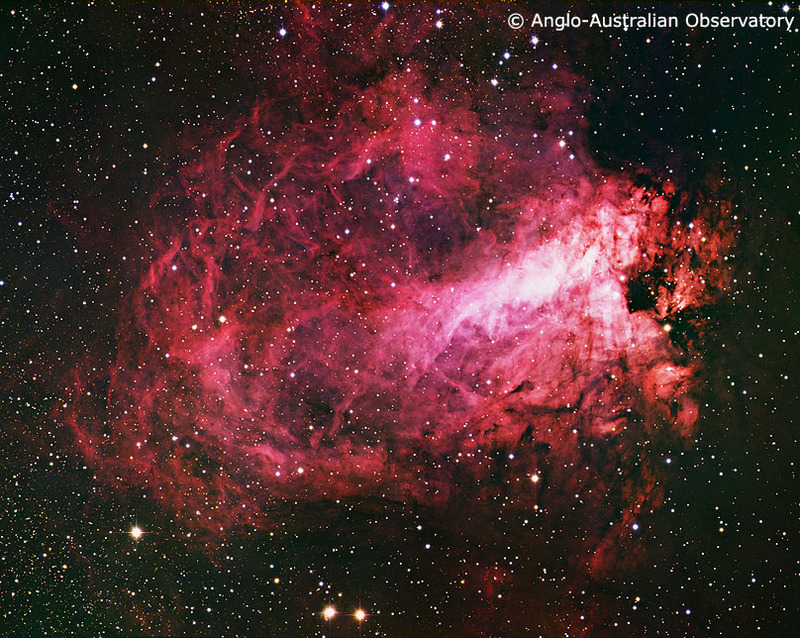 This image of the Omega or Swan Nebula, M17, was obtained by David Malin with the 3.9-meter Anglo-Australian Telescope. More information on this image is available. 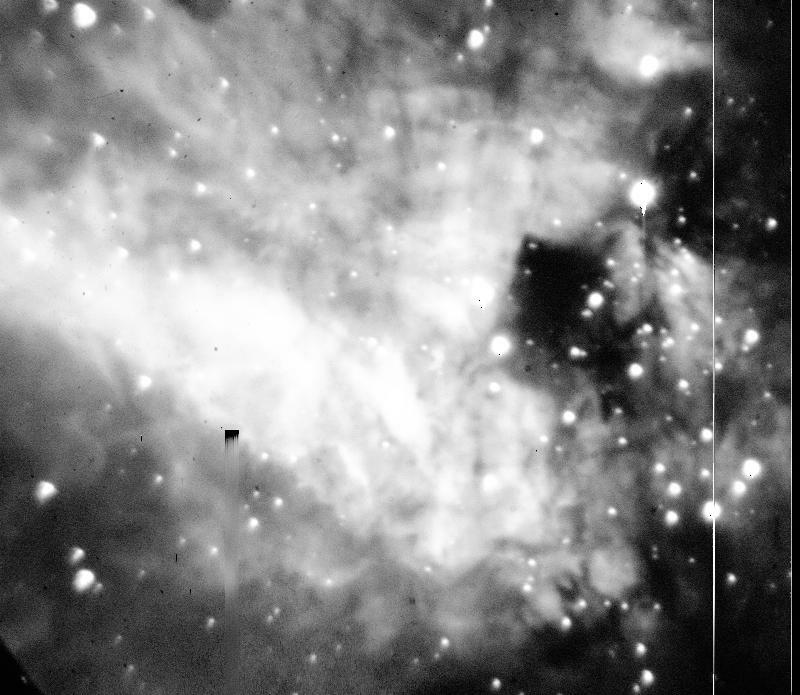 A wider field image created from the same photographic plates as the above. The two images above are copyrighted and may be used for private purpose only. 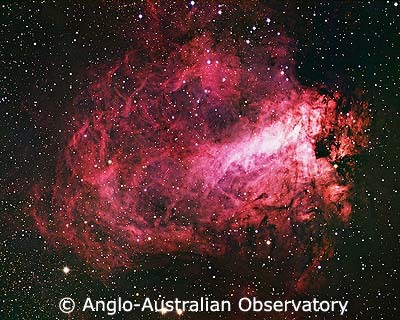 For any other kind of use, including internet mirroring and storing on CD-ROM, please contact the Photo Permissions Department (photo at aaoepp.aao.gov.au) of the Anglo Australian Observatory. 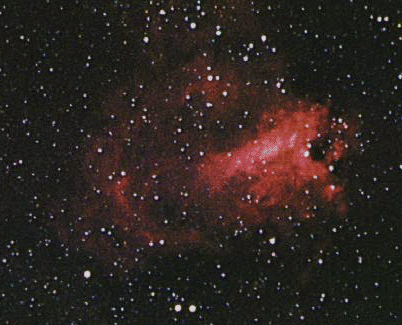 The Omega Nebula M17 photographed in the red light, showing especially the light from the two principal emission lines of hydrogen, so that this H II region stands out prominently. 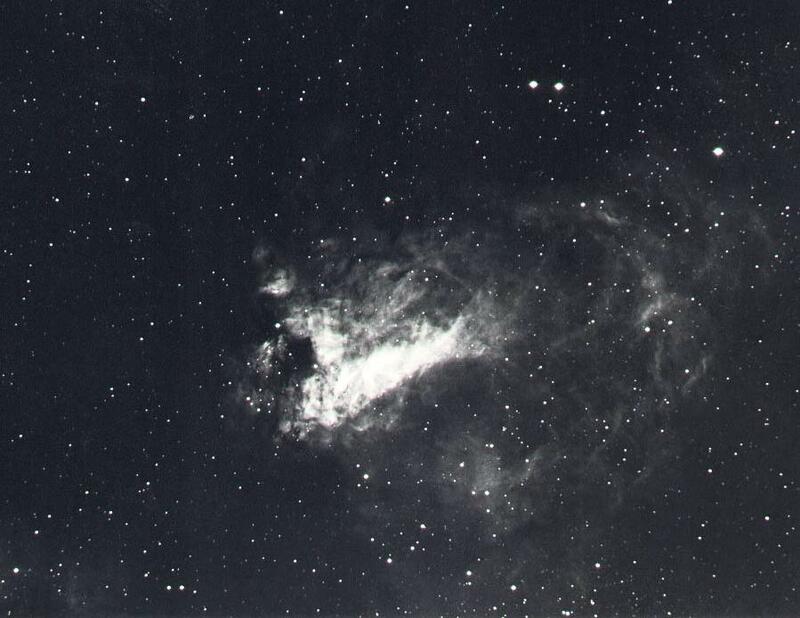 From Greg Bothun's image collection at the University of Oregon. 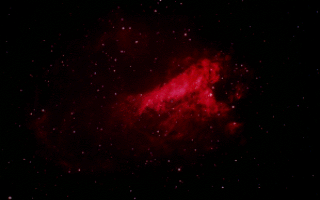 The Omega or Swan Nebula Messier 17, a giant diffuse gaseous nebula, or HII region, is shown here from a 30-second red-light exposure (through clouds) with a Tektronix 2048x2048 CCD at the prime focus of the 4-meter Mayall telescope of Kitt Peak National Observatory. 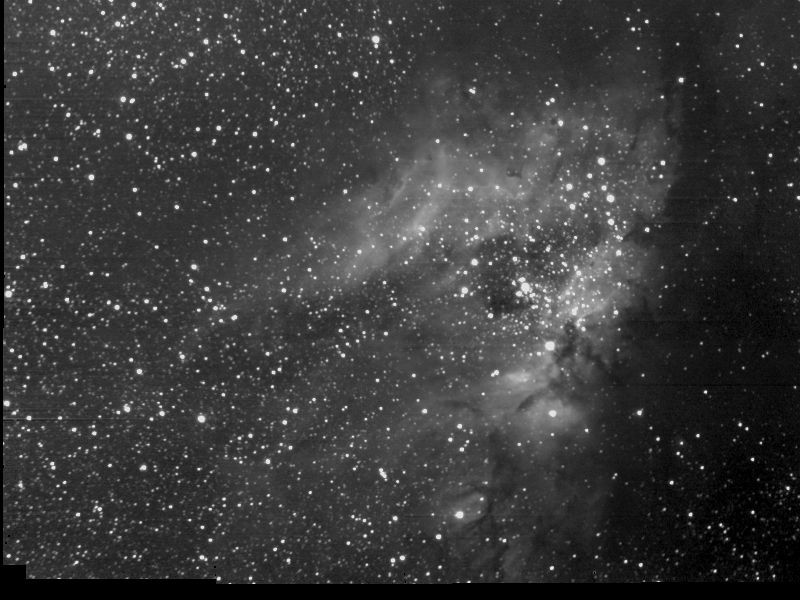 North is at the top and east to the left, field of view s 14.3 arcminutes square. 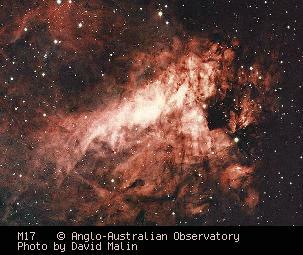 Only the central part of the vast extent of M17 is shown in this field. 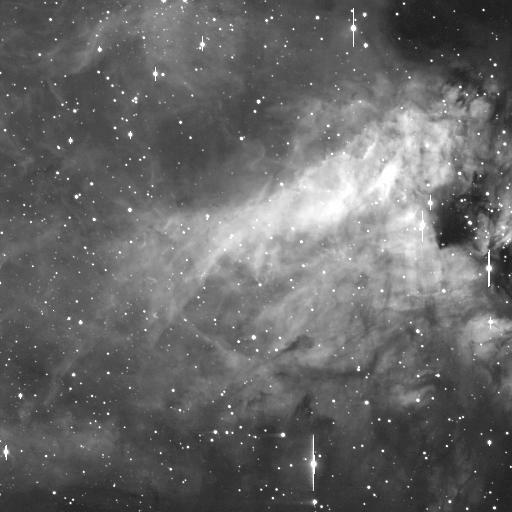 M17 as shown in an image taken with Lick Observatory 36-inch (0.9-m) Crossley reflector. 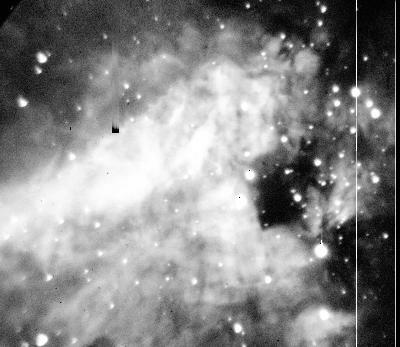 Both images above were taken by Bill Keel of the University of Alabama. M17 in color. Captured from Usenet. Also in Pat Murphy's collection. 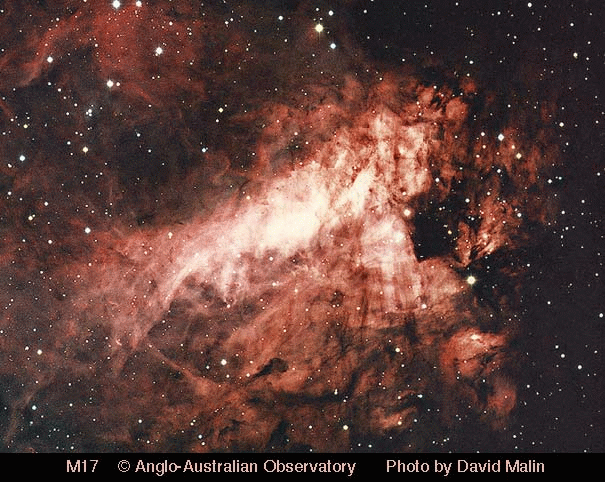 Hi-res image of M17, taken in the near-infrared part of the spectrum (probably K-band, about 2.2 micron). 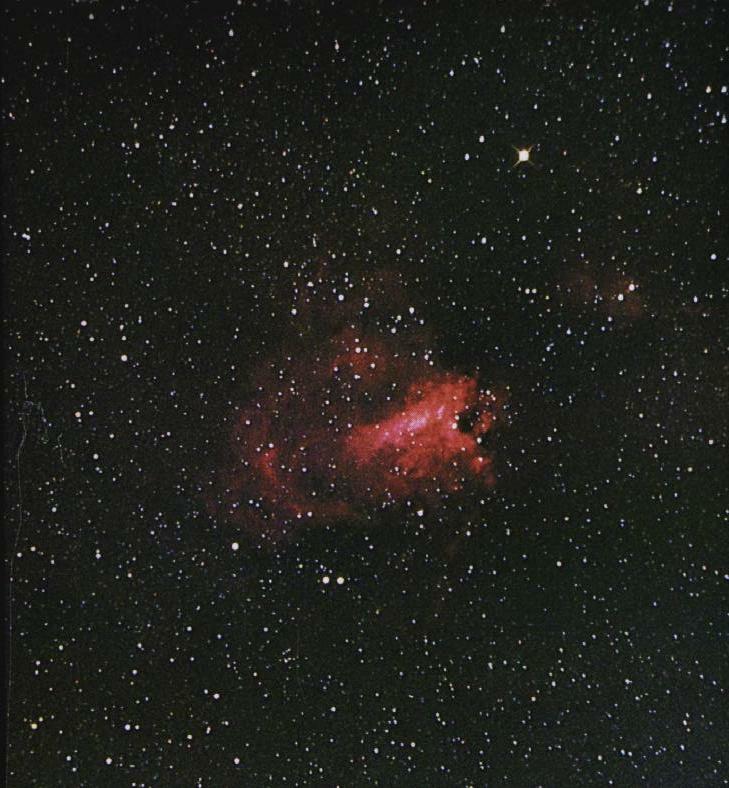 Note the difference to the visible light images above: The nebulous matter of the nebula is much more transparent in this part of the spectrum, so that one can see much deeper into the cloud, revealing the cluster of young hot OB stars which have just formed from the matter of the Omega nebula. 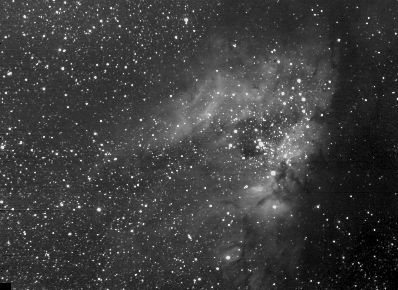 Thanks to Margaret Hanson for valuable informations on what is visible on this image.